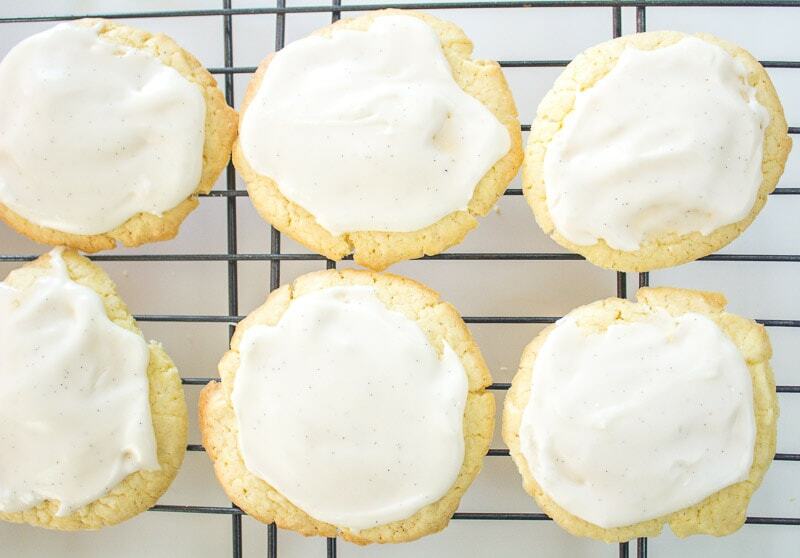 Want to bake the easiest cookies ever? Well, here they are. 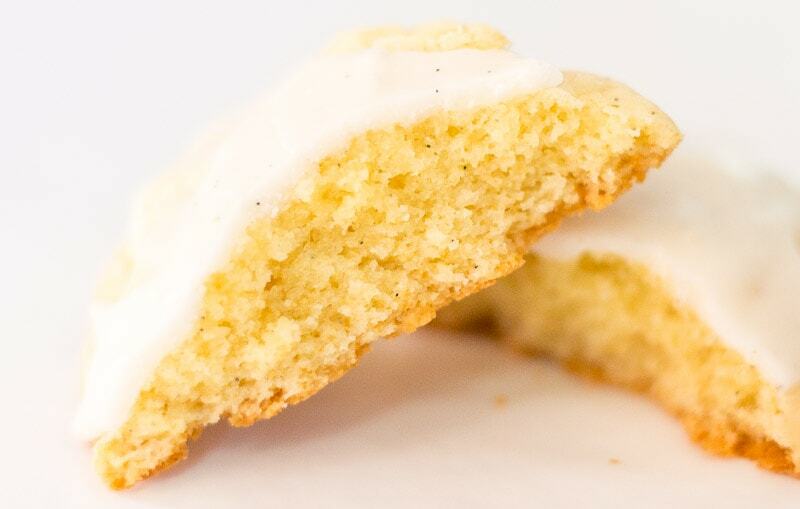 These pound cake cookies call for only a few ingredients. 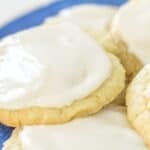 They come out soft and chewy with a wonderful vanilla flavor. Top them with cookie glaze and they’re truly addicting. The base of this recipe is a pound cake mix. I just used Betty Crocker Pound Cake mix, but it also works with regular cake mix as well. 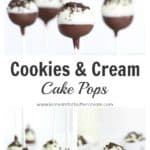 I tried it with yellow cake mix and it worked well. I’ve gotta say, my favorite is the pound cake mix though. For this batch of cookies, I added vanilla bean paste. It’s my favorite way to add vanilla flavor, but if you just have plain vanilla extract, that works too and they’ll still be delicious. I also added a tiny bit of almond emulsion and it really gives it a nice subtle flavor. You can find the vanilla bean paste here (Vanilla Bean Paste) and the almond emulsion here (Almond Emulsion). You can eat them as is, but they’re even better with cookie glaze. 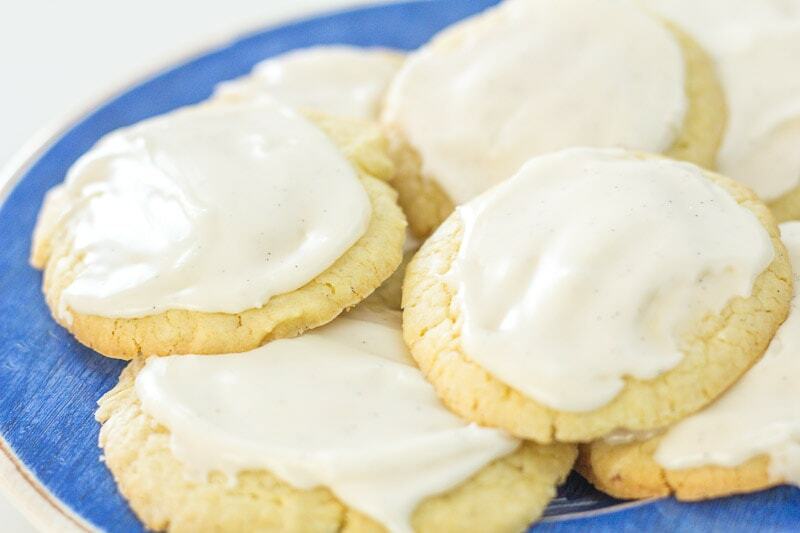 I’ve added the vanilla bean glaze recipe in this post, but I’ve also got a post that includes two more cookie glazes…chocolate and lemon. 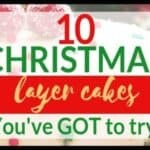 You can find those here: Cookie Glaze 3 Ways. 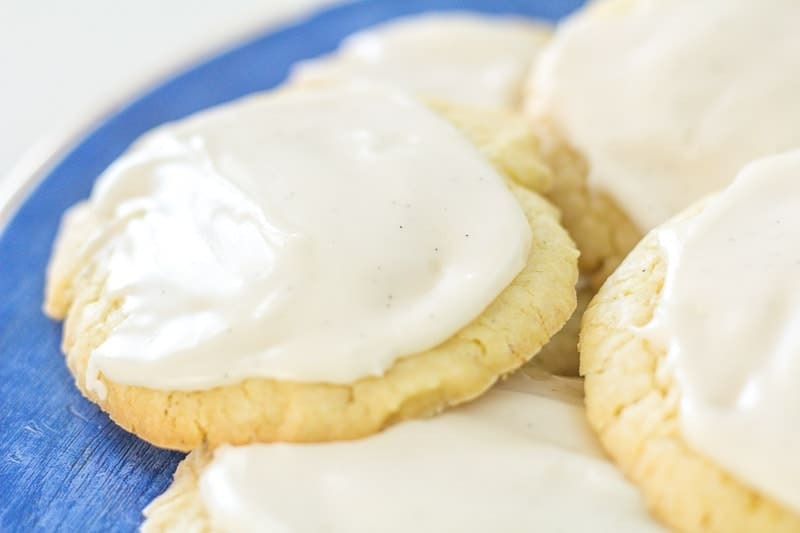 The cookie glaze is the perfect way to top any cookie because it sets up. You can stack your cookies and your icing won’t make a huge mess. I’m not a fan of royal icing. I just don’t like how hard it gets. This glaze gets firm, but not as firm as royal icing. Alright, let’s get to the recipe. There’s also a video below that’ll show you all the steps. 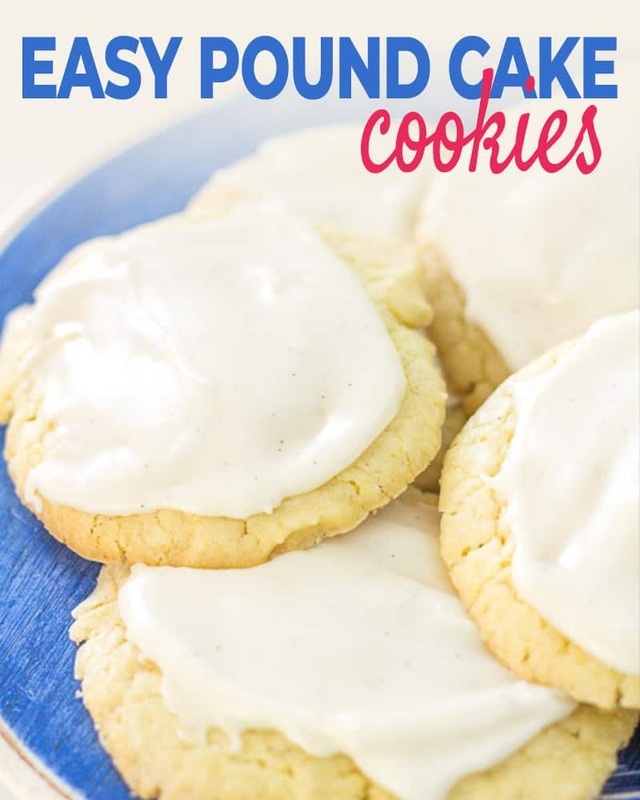 These easy pound cake cookies call for only a few ingredients. 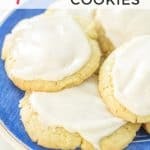 They come out soft and chewy with a wonderful vanilla flavor. Top them with cookie glaze and they're truly addicting. Add the dry cake mix to a mixing bowl. Add in the eggs, oil, vanilla and almond extracts. Mix well with a wooden spoon. Batter will be much thicker than cake batter, but not as firm as regular cookie dough. Drop by tablespoons on greased or non-stick cookie sheet. Space cookies out at least two inches apart. They will spread quite a bit while baking. Bake at 350 degrees in a preheated oven for 10 - 13 minutes. The edges will be light golden brown. The centers will still look a little soft. Cool on the pan for about 10 minutes, then transfer cookies to a rack to cool completely before adding the glaze. In a mixing bowl, add confectioners sugar, 3 tablespoons of milk, vanilla extract and corn syrup. Mix well. It will be thick at first, but keep mixing until well combined before adding any additional milk as that could make it too thin. If once mixed, it's still very thick, add in another teaspoon to tablespoon of milk. You want the glaze a thicker consistency though, so that it doesn't run off of the cookies. 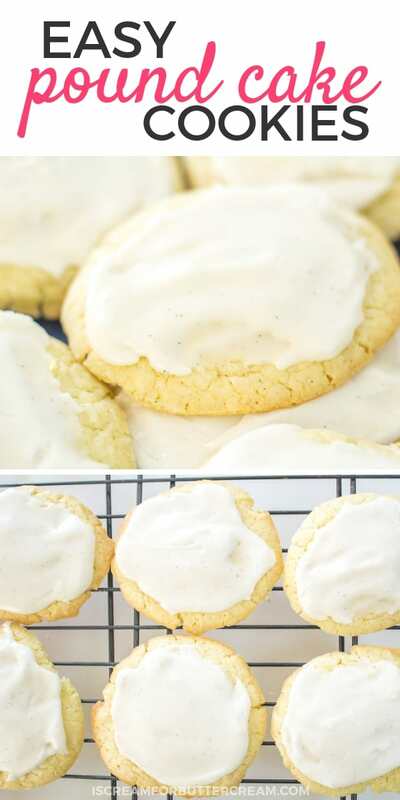 Add glaze to the cookies, once they're completely cooled. Let the glaze set up before stacking cookies. These cookies stay soft, just keep them in a covered container on your counter. They do not need to be refrigerated and they last the good part of a week. In fact, every time I've made them, they were eaten within only a few days. They're that addicting. If you try these, let me know what you think. I’ve made these tons of times now and people keep commenting on how addictive they are. Even my husband, who is not a sweet eater, couldn’t stop at just one. 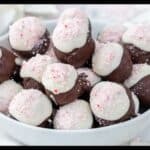 I wanted to tell you my Mother use to make this recipe when I was a child and I loved it. 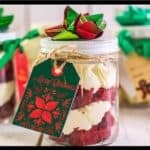 The only difference is she used Devils Food Cake mix and it was fantastic! Thank you for sharing and stirring up some wonderful memories of my Mother.